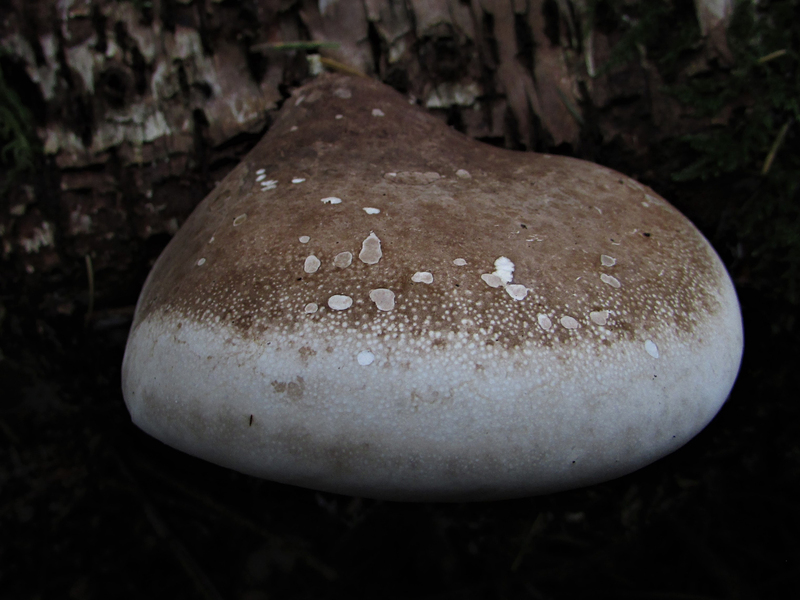 The Birch Polypore, Piptoporus betulinus. 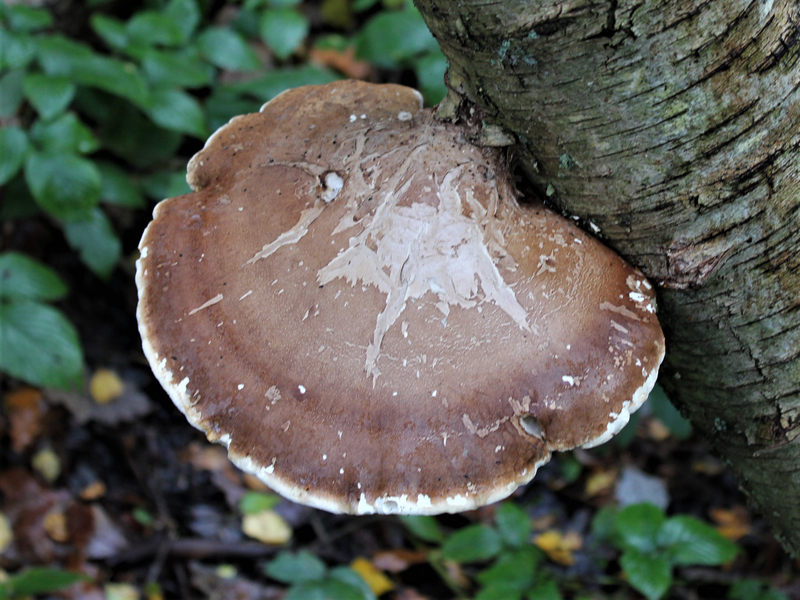 This common white bracket fungus has many uses and has been utilised by humans for thousands of years. 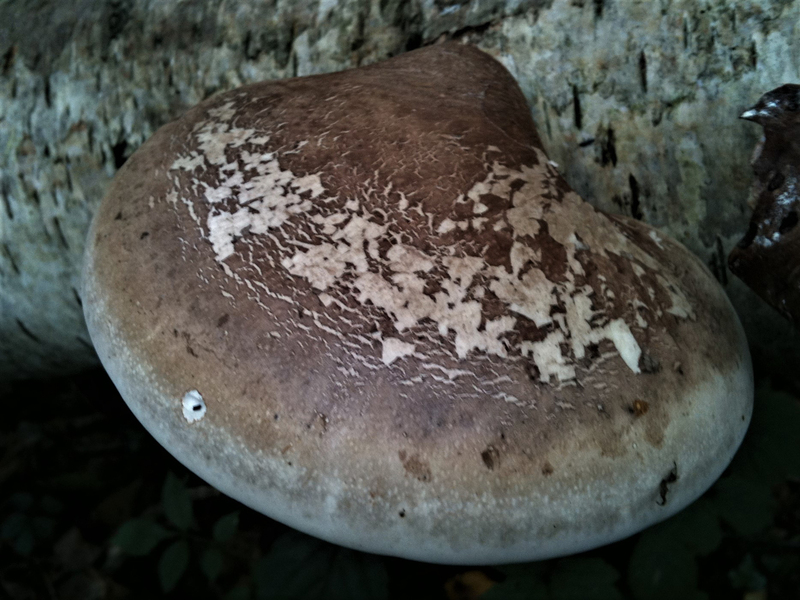 White, very fine pores underneath turning buff with maturity. 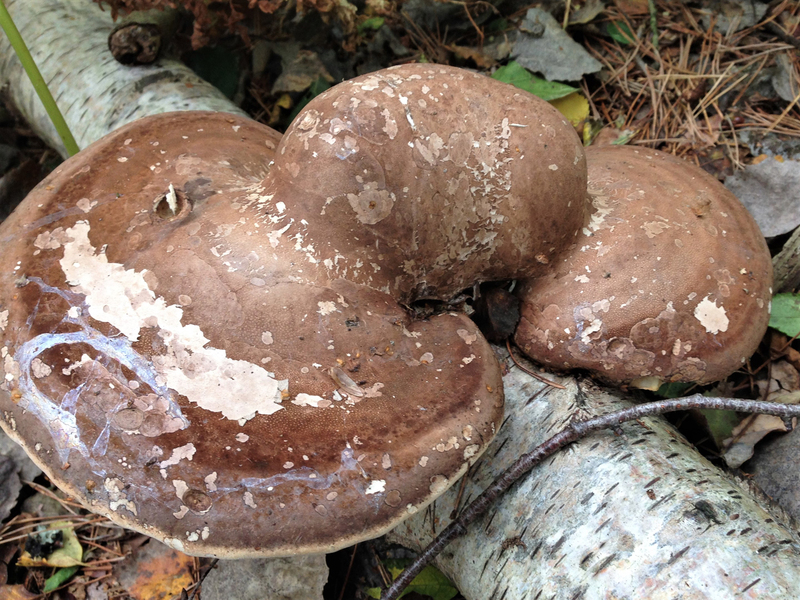 This distinctive mushroom is difficult to confuse with any other as it only grows on Birch. 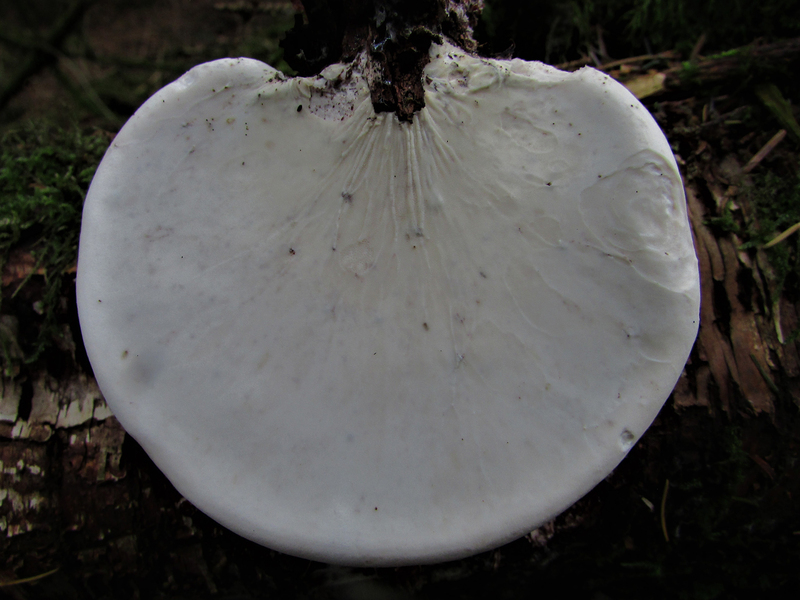 The Birch Polypore, Piptoporus betulinus, grows on Birch trees and can be a parasite to living trees slowly killing them and then living on the dead tree for many years until the tree has rotted to nothing. 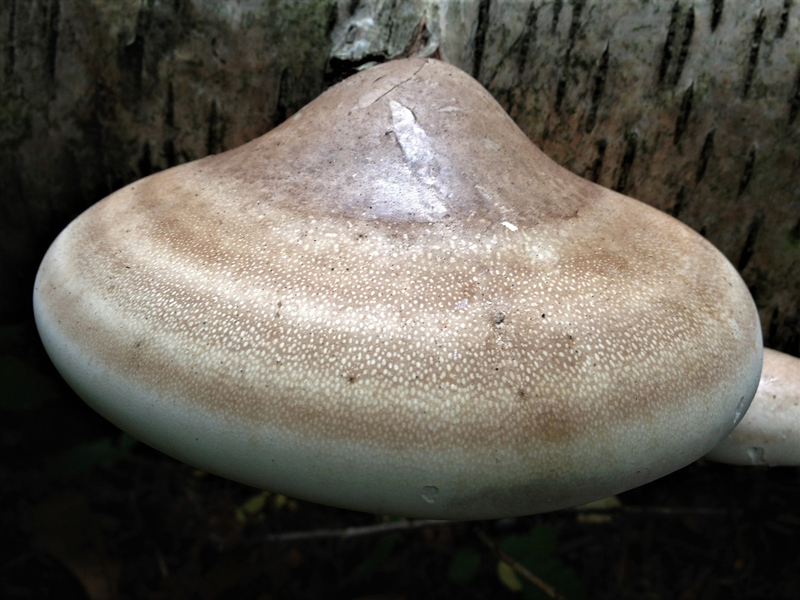 The mushroom grows exclusively on Birch naturally but can be artificially introduced to other types of tree. 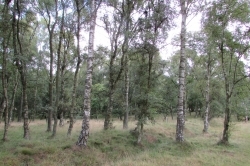 It has long been known that the Birch Polypore has medicinal uses, it has been used as a tonic for the immune system, as an antiseptic to clean wounds and promote healing, a plaster that is microporus, antifungal and antiseptic and probably was used by Bronze Age man to get rid of parasitic worms. In 1991 Austrian hikers in the Tyrol region of the Italian Alps discovered a frozen corpse. When this was later examined it turned out to be a 5300 year old mummy that they named Otzi. 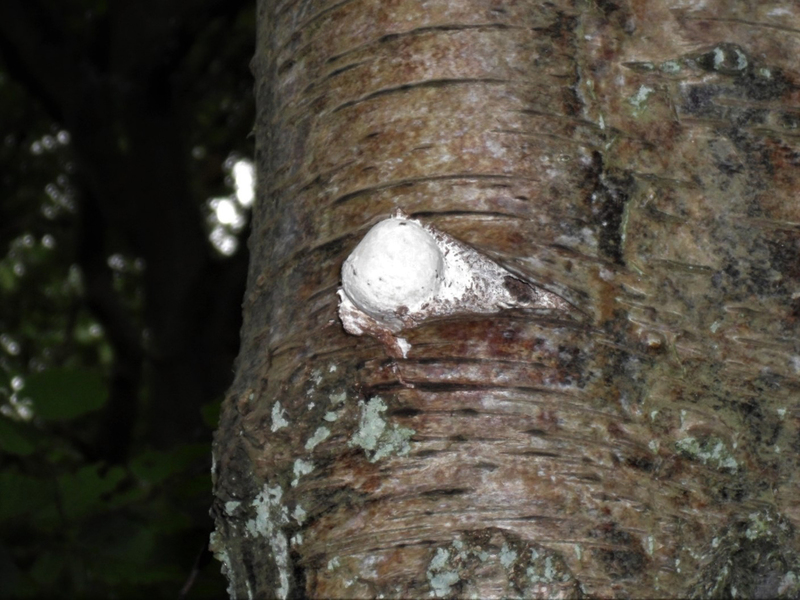 Otzi had some Birch Polypore on a leather thong around his neck, he also had a parasitic intestinal worm called a Whipworm which can be cured with polypolenic acid which is one of the chemicals present in the Birch Polypore. 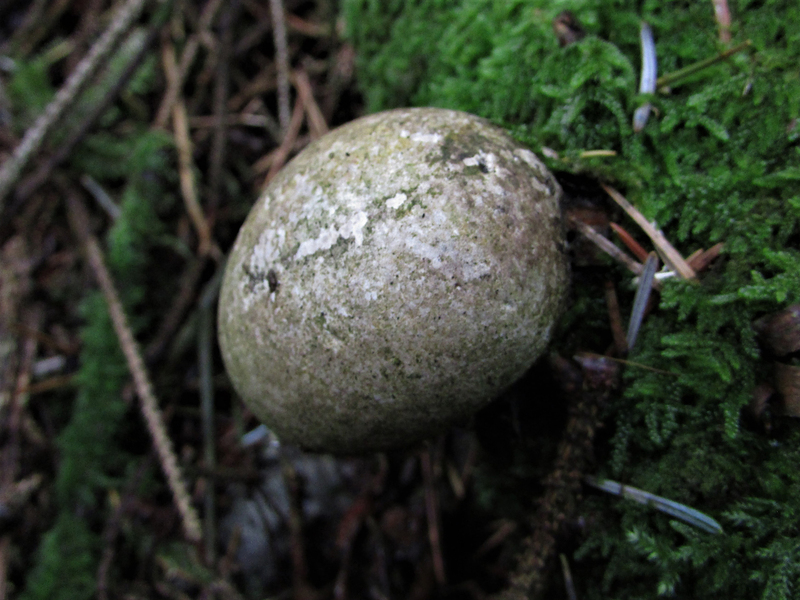 Another possible use of the fungus by Bronze Age man was as a very good tinder that can be started with a weak spark or used to transport fire as the fungus can smoulder for a long time and can be used to take to the next camp or destination and get a fire lit quickly without the long and laborious task of lighting a fire by friction. 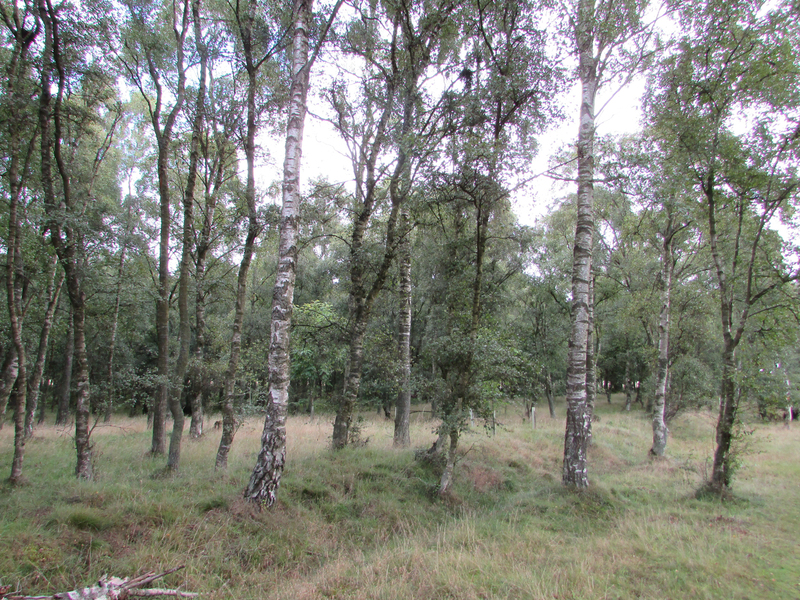 Birch trees contain betulenic acid which has many health benefits, there are also other chemicals in the Birch Polypore that are beneficial for being healthy. 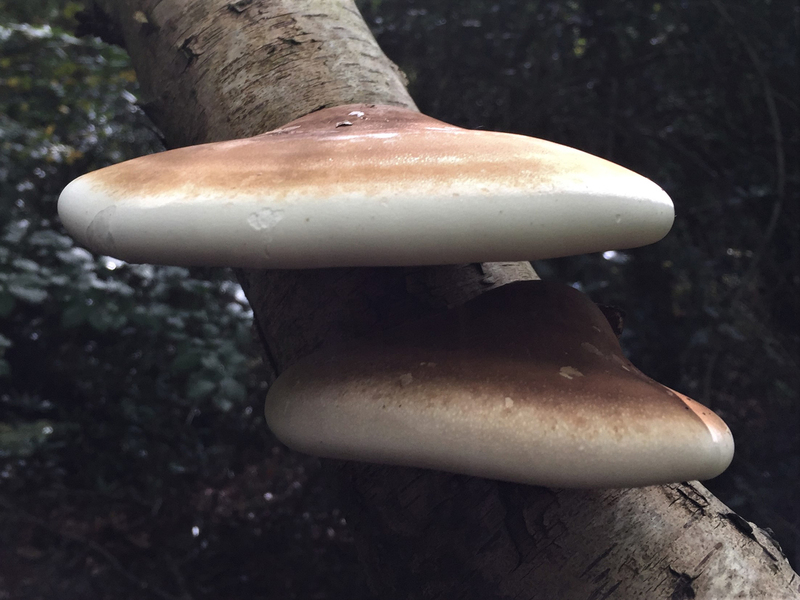 With modern research it is becoming clear that the Birch Polypore is an important mushroom to look into, tests have been carried out and so far found the following. Antiviral. 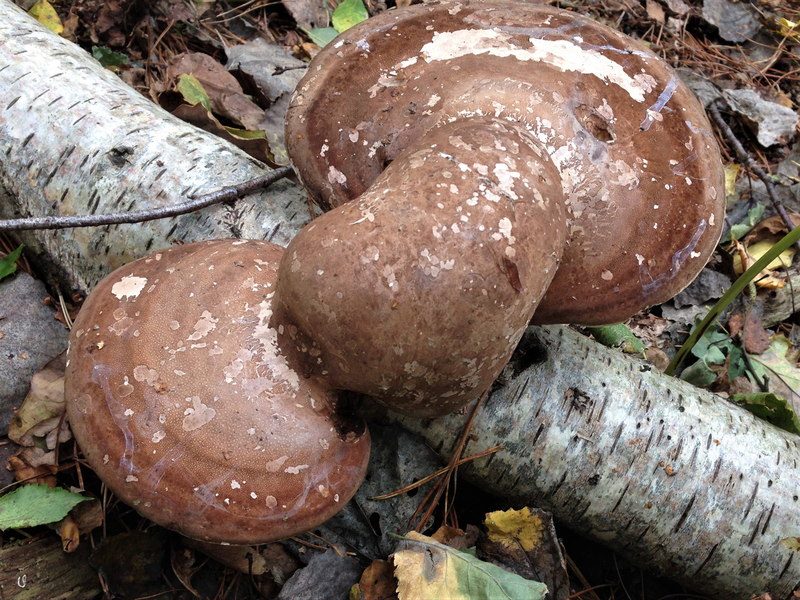 In tests extracts from the Birch Polypore blocked reproduction in HIV cells, attacked and incapacitated encepholitis infections and has proved positive in treating flu, yellow fever and West Nile flu. Antibiotic. 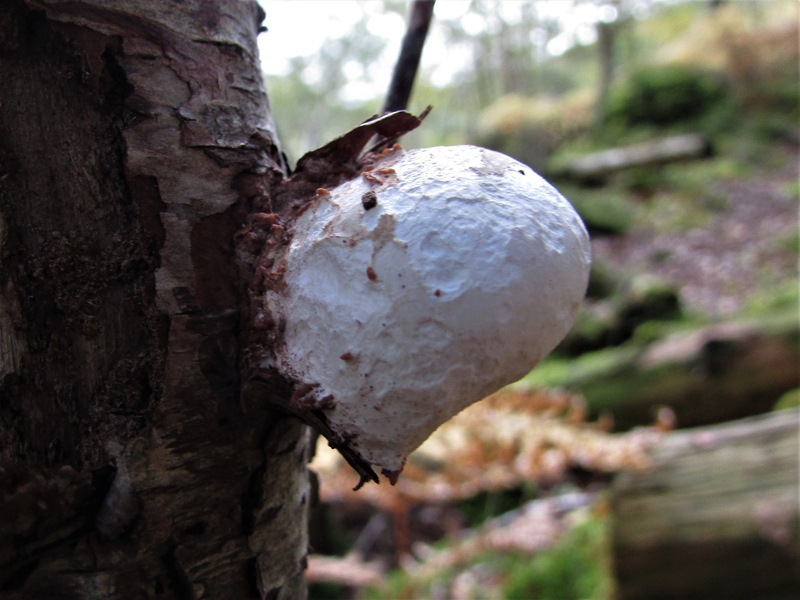 The Birch Polypore contains the antibiotic piptamine which has been used to treat e-coli. Anti inflammatory. There are several triterpene acids present and these are known anti inflammatories. Anti Tumor. 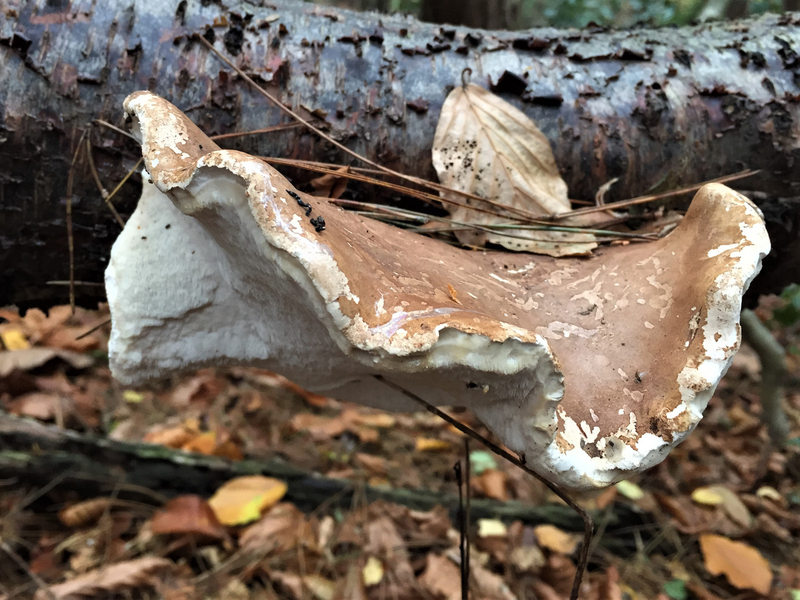 Betulenic acid and other chemicals in the fungi have been shown to cause apoptosis, the destruction of cancer cells while not affecting healthy cells. Antiseptic. For cleaning wounds and being an aid to healing. Antifungal. 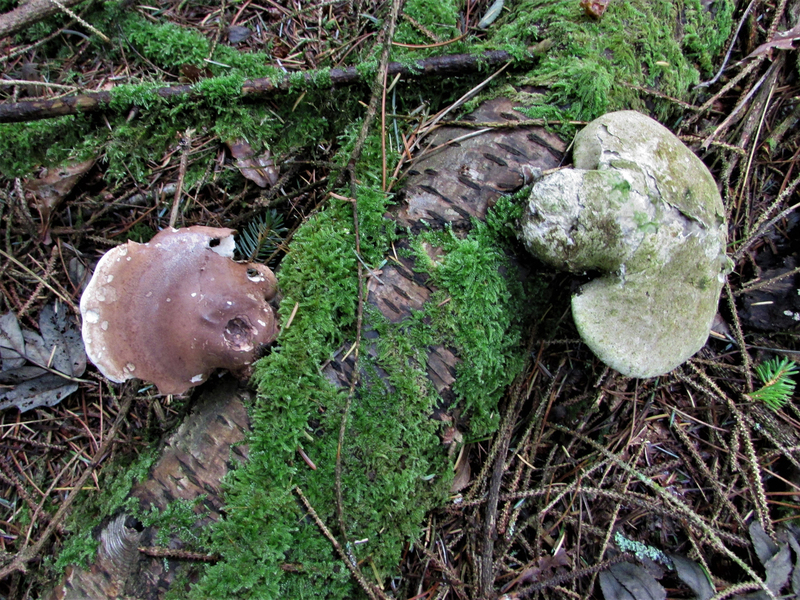 This mushroom does not like to share its habitat with other mushrooms and contains some powerful antifungals. Stiptic. 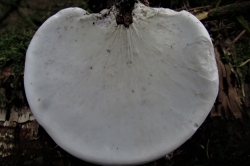 The fungus has stiptic properties (it staunches bleeding). 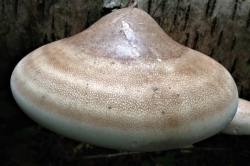 The mushroom has very beneficial effects on the immune system and many people drink a tea made from the fresh or dried fungi and swear by its positive effects. 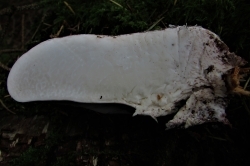 A plaster can be made from the underside of the mushroom, a strip needs to be cut and carefully removed from the pore membrane. This provides a microporus, anti fungal, antisceptic and self sticking plaster, much better than can be purchased from the shops. 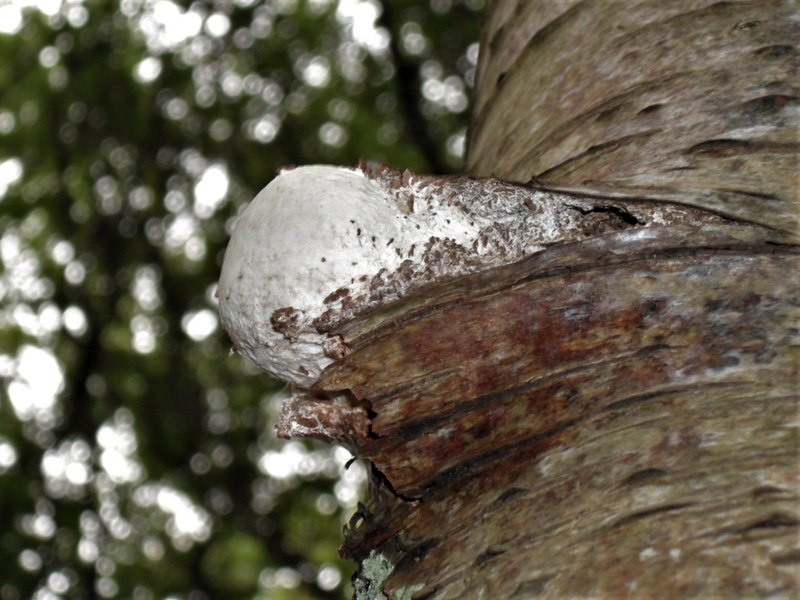 A corn or blister plaster can be easily fashioned from the flesh of the mushroom by cutting some flesh into a doughnut shape of the right size and applying to the corn or blister. 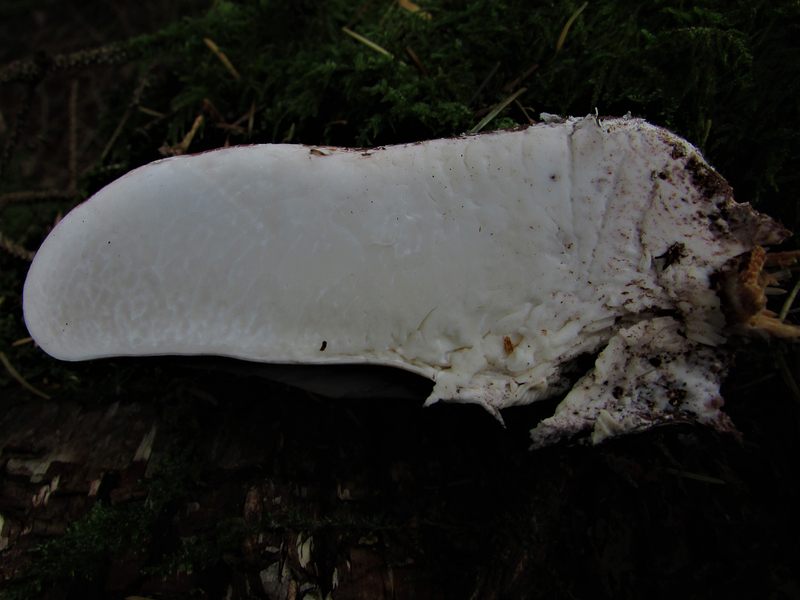 The common name Razor Strop Fungus comes from the use in old barber shops of cutting a strip from the underside of the fungus, drying it and sticking it to a piece of flat wood. This was used to give the final finish to the cut throat razors that barbers used. I’m not sure if they were aware of the fact but in doing so they were giving their blades an antiseptic, antifungal and stiptic wipe! 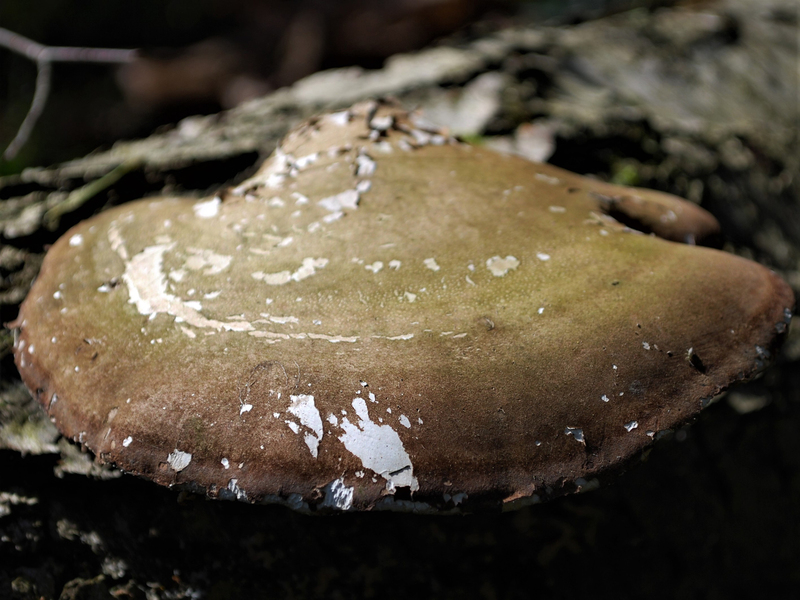 The fungus has also been used in the past as very fine emery cloth to polish metals, making ink blotters and even bases for mounting insects for collections. 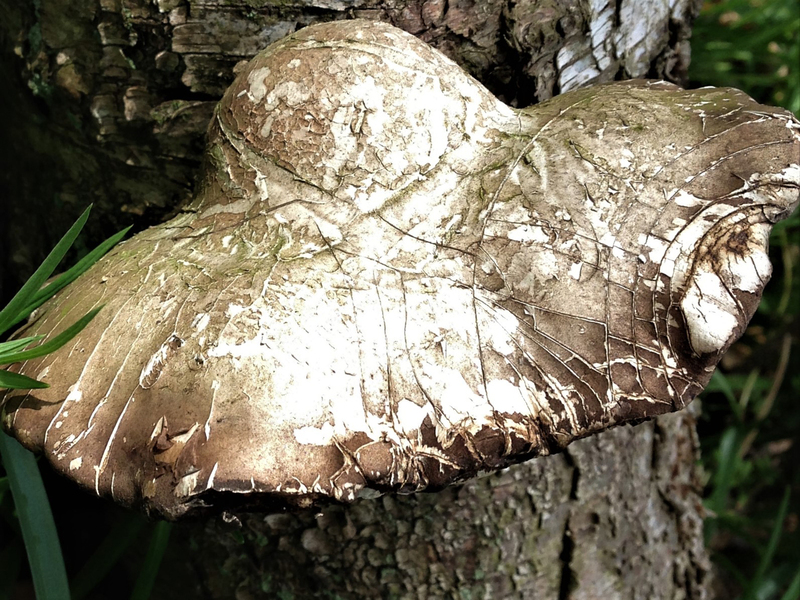 Truly the Swiss Army knife of mushrooms.